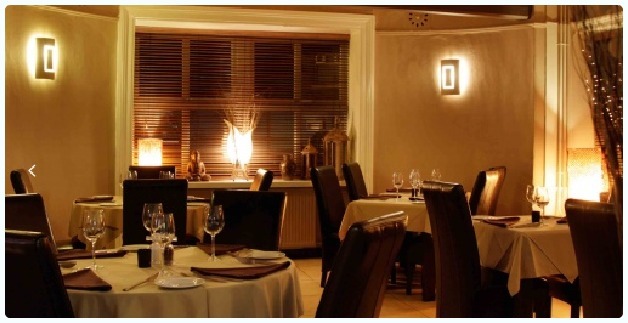 Il Toro is where the Horwich Fine Dining Society was born. It's within walking distance of our house, so it was an ideal place to go on a Friday night. It went a little something like this. A few drinks and parsnip or chilli crisps at our gaff, then we would walk round to Il Toro for a fantastic steak and amazing pudding. It was eating here that gave us a thirst to try other places. Three years later we would be sat in Noma. Horwich didn't have any smart restaurants at the time, and Il Toro was the perfect balance between feeling a bit special yet being totally relaxed. It lost its way a little a couple of years ago, but the new manager Florindo appears to have given it a much needed kick up the back side. A couple of weeks ago, my husband I decided to pay Il Toro a visit on our wedding anniversary. I couldn't help myself. I had to order the sirloin in pepper sauce. This is what I had every time we went to Il Toro in the past. My husband ordered meatballs with spaghetti, again because he used to have a smaller portion of this as a starter. Both were legendary dishes in our memories. 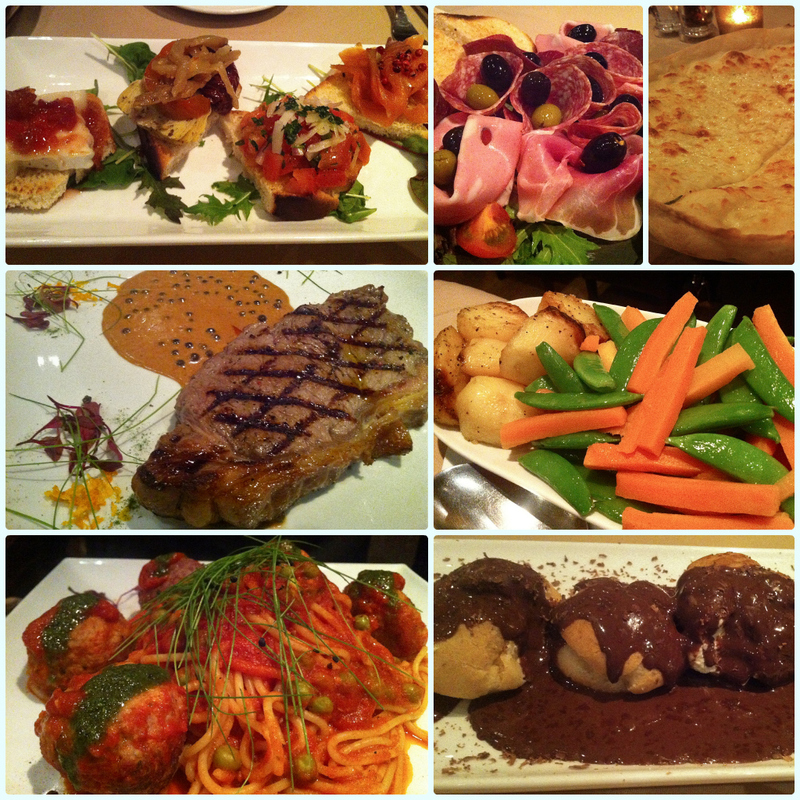 They don't believe in skinny portions at Il Toro, so go hungry! My steak was cooked just the way I had specified and the meat was tender and full of flavour. The meatballs were just delightful! No bland mince here, just tasty balls of beef seasoned well and placed on a mammoth pile of spaghetti with a tangy sauce. The side vegetables were always phenomenal. They didn't disappoint either! A slight hint of pesto of fresh vegetables creates an illusion of 'just plucked from the garden' because they smell so fresh. Everything was just beautifully cooked. One thing that we both noticed was the military precision of the service. A nod here. A glance there. Drinks were offered when just a few sips were left. Plates were cleared promptly. We liked this. Despite the fact we were morbidly full, we couldn't leave without sampling the desserts. We picked the cream filled profiteroles to share. I say share... I ate them. These were light as a feather and filled with real cream. I hate it when they are pumped full of custard or chocolate cream. Nooo! Cream is the only way. We don't know who the original pastry chef was at Il Toro (I have tried to track him down via social media, but failed miserably...). Whoever he was (and we know it was a man...) he was some sort of dessert Jedi. Although the desserts are good now, years ago they were amazing. This is the only thing I would change about the current set up. Find him. Bring him back. Make him recreate the treacle tart and white chocolate and raspberry mousse. Please. How did we ever forget about this restaurant? I think we had one bad meal here years ago when it was under different management and wrote it off forever. Until now. We enjoyed it so much, we booked the family in for Christmas Day! Thank you to Florindo and the team for a great anniversary meal!